Each spring, the Northern Kentucky Law Review and the Law + Informatics Institute co-sponsor an academic symposium. The symposium is an opportunity for academics, practitioners, consultants, and students to exchange ideas and explore emerging issues in informatics law as it applies to working conditions and employment practices. Interdisciplinary presentations are encouraged. The Northern Kentucky Law Review and NKU Chase College of Law seek submissions for the fourth annual Law + Informatics Symposium on February 26-27, 2015. The conference will provide an interdisciplinary exploration of digital information in the courtroom, including the importance of insuring that such information is reliable, resilient, and uncompromised. The symposium is an opportunity for academics, practitioners, consultants, and students to exchange ideas and explore emerging issues regarding digital forensics and the rules of evidence and discovery in criminal and civil cases. Interdisciplinary presentations are encouraged. The call for papers for the Law + Informatics Symposium on Digital Evidence is available here. The 2014 symposium featured Cyber Defense Strategies and Responsibilities for Industry. The symposium took place on February 27-28, 2014. The focus of the conference was to provide an interdisciplinary review of issues involving business and industry responses to cyber threats from foreign governments, terrorists, and corporate espionage. The symposium emphasized the role of the NIST Cybersecurity Framework and industries providing critical infrastructure. The 2013 Symposium focused on issues in labor and employment related to informatics, including such topics as social media in the employment context, candidate screening practices, employee privacy, data security and appropriate policies, National Labor Relations Board actions, and proposed legislation to protect employee account access. The program will include a day-long seminar and networking reception. Presentations delivered at the conference will be published by the Northern Kentucky Law Review. The Northern Kentucky Law Review hosted the inaugural Law + Informatics Symposium on March 1-2, 2012. 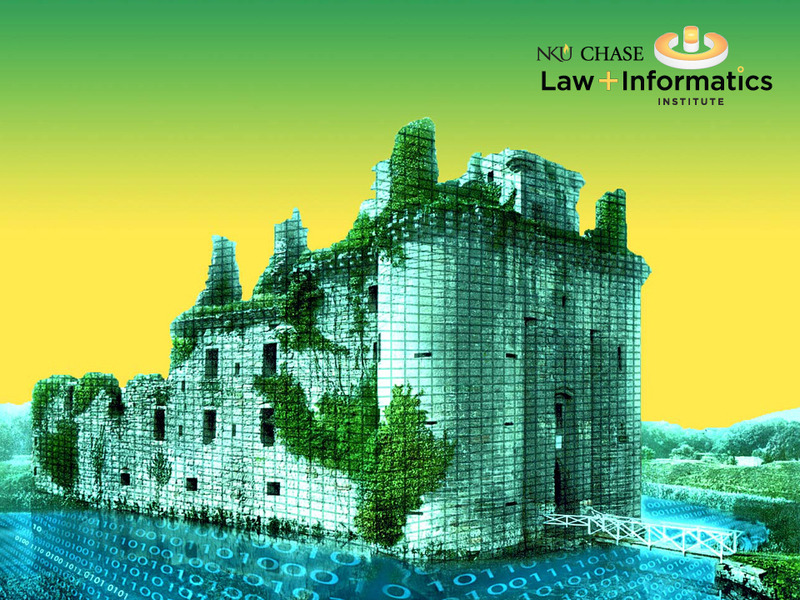 This conference was presented in association with the NKU Chase Law & Informatics Institute. The two-day conference gathered academics, lawyers and industry leaders from throughout the United States, Europe and Asia to focus on cutting-edge issues involving data privacy, cyber-security, international trade, internet regulation and other critical issues. The Symposium was an opportunity for academics, practitioners, and students to exchange ideas and explore emerging issues in informatics law, disruptive innovation, and the increasingly interconnected information environment.